When it comes to versatility and durability, these kitchen hardware products have you covered. Davoli Pull-Down Kitchen Faucet California Faucets The Davoli Pull-Down Kitchen Faucet is a customizable faucet available in seven distinctive handle designs and 30 decorative finishes. The faucet’s design includes a pull-down spray head, a magnetic docking station, and a toggling function that switches between single stream and spray modes with ease. Blanco Napa Decorative Soap Dispenser Blanco Made of solid brass, this soap dispenser can be used with both dishwashing and hand soap. The BLANCO NAPA Decorative Soap Dispenser matches the BLANCO NAPA faucet, holds 12.5 fluid ounces of soap, features a design that eliminates clogs and drips, and comes in both stainless steel and chrome. Eurocube Semi Pro Grohe This dual-spray, cube-inspired kitchen faucet features a 140-degree swivel arm, a 360-degree maneuverable spring arm, a metal spray-head with rocker-diverter, a forward-rotating lever that eliminates backsplash, and a SilkMove Cartridge. It’s available in Starlight, SuperSteel Infinity, and Chrome finishes. Induction Cooktops Miele This cooktop collection uses magnetic fields to transmit energy directly to cookware products. Available in 24-inch, 30-inch, 36-inch, and 42-inch models, the Induction Cooktops include Miele’s Con@ctivity 2.0 technology, and a unique large cooking zone called PowerFlex. French-Door Single Oven Viking Range This 30-inch-wide, built-in oven has 11 high-performance cooking modes, metal knobs outfitted with CoolLit LED lights, a Gourmet-Glo Glass Enclosed Infrared Broiler, and a Vari-Speed Dual Flow Convection System. The oven also has six porcelain-coated rack positions, one standard rack, and two TruGlide Full Extension Racks. Discovery 48-Inch Dual-Fuel Range Dacor! Customize cooking experiences by using the wireless Dacor iQ Controller to control the smart oven and stove. Discovery 48-inch Dual-Fuel Range is equipped with SimmerSear burners, Illumina burner controls, GreenClean steam cleaning technology, and more. 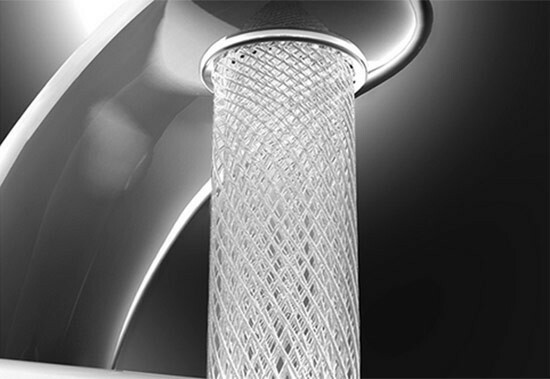 American Standard has debuted a series of high-end 3D-printed faucets evoking sculptural artwork. 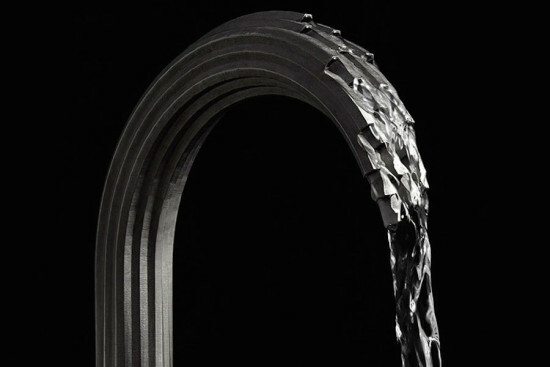 Formed by selective laser sintering, each design presents a creative play on the way water cascades from it. While faucets have long been prototyped using 3D deposition modeling, the plumbing and building product manufacturer claims that this series of luxury faucets is the first ready-for-market faucet wrought using powerful lasers. In a process lasting 24 hours, a computer-guided laser beam fuses powdered metal into the shape of a faucet under intense heat and pressure conditions. A solid metal block then arises from the powder, and this solid item is then hand-finished and polished to reveal and bevel the design. The series’ most out-there design is an angular, high-strength alloy faucet made with 19 tiny, concealed waterways that converge at the top to conjure the sensation of a stream flowing over rocks while creating the impression of the water magically appearing. “The team used Computational Fluid Dynamic (CFD) technology to adjust each of the 19 waterways to achieve the proper effect,” the brand claimed in a statement. Another design features a mesh of delicate latticework, while a third has waterways separated into thin sections for a more traditional appearance. 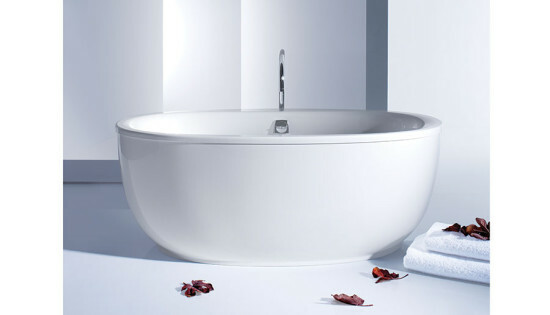 American Standard, now celebrating 15 decades in the business, directed a panel of seven hand-selected designers and architects to develop designs reflecting today’s aesthetic and performance standards. If you’re the type who sees a faucet as more than just a plumbing fixture, be prepared to shell out $12,000 to $20,000. From food storage and prep to cooking and cleanup, a kitchen’s function—if not its form—is determined to a large extent by the quality of its equipment. Here are some new and notable products to specify for the serious cook. 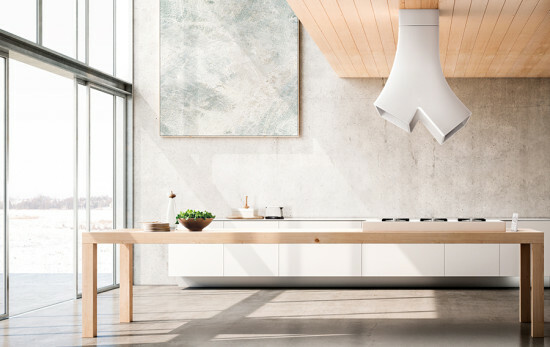 Ye Elica Ye is one of the first range hoods to be sheathed in Cristalplant, a polymer material that allows the creation of soft, fluid lines. The directional, double-suction vent is operated by remote control. LED spotlights illuminate the cooking surface. Designed by Fabrizio Crisà. Planar 8 Faucet Franke Made primarily of solid brass, the new Planar 8 kitchen faucet is equipped with a ceramic cartridge for leak-free operation. Its one-jet, lock-in-place spray head connects to a covered, stainless steel spring hose that facilitates easy, comfortable movement around the sink. The faucet spout rotates 360 degrees in either direction, which allows placement of the handle on either the right or the left side. Available in chrome or satin nickel, the Planar 8 kitchen faucet is CSA-certified and meets the lead-content requirements of NSF/ANSI 372. Range Series Miele Tailored to the North American market, this range offers some impressive features: a wireless roast probe providing ‘correct-to-the-minute’ program countdowns, a menu of 100 easy-to-use, automatic cooking programs, and a Moisture Plus function that offers optimal humidity distribution while baking. It is offered in different sizes (30", 36", and 48") and power configurations (dual-fuel, gas, electric, and induction). Regular burners reach up to 19,000 BTUs and a dedicated simmering burner tops out at 12,000 BTU. 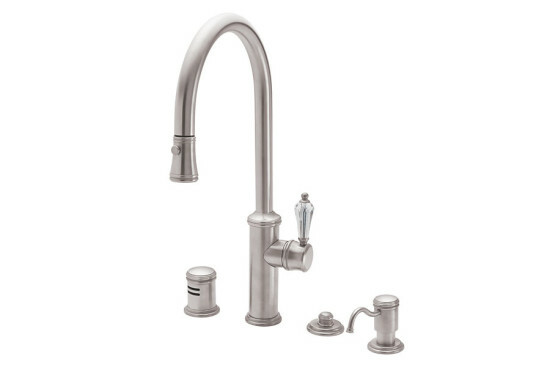 Metris Kitchen Faucet Hansgrohe Featuring an extendable shower with two types of jets—a wide shower spray that is ideal for cleaning and rinsing, and a normal spray for filling pots and pans—this faucet comes in high arc, prep, and bar sizes. The swivel range is 150º and the flow rate is 2.2 GPM. Designed by Phoenix Design. Regulator Faucet Waterworks Offered in double and single spot models, as well as a pot filler and bar faucet, this impressive, hand-crafted fitting follows the design template of early 20th-century boiler room controls. Available in thirteen finishes. All-Induction Cooktop Viking A grid of LED lights illuminate individual cooking zones when this six-burner unit is in use. The silvery metallic ceramic surface is not only visually distinctive, but durable and easy to clean. 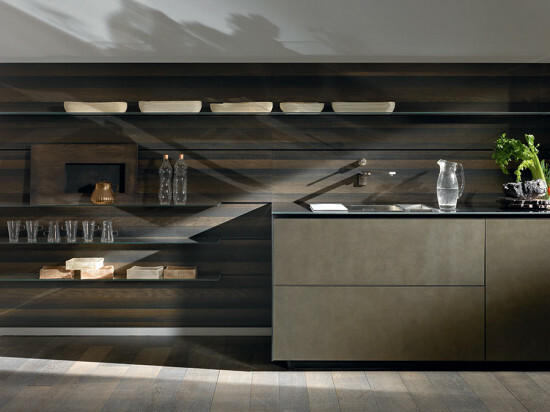 The beveled edges lift up from the counter—a unique design treatment.